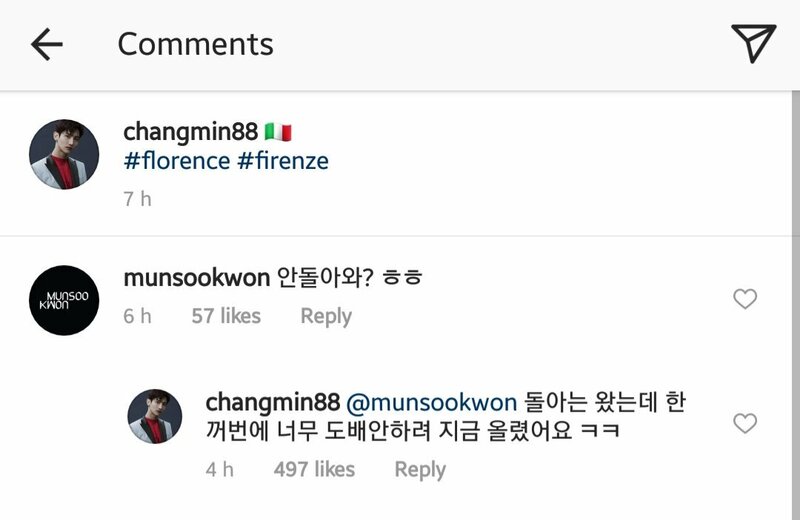 Changmin travelled to Italy after Nissan concerts to film for TVXQ’s photobook (just like Yunho’s Scotland), as well as attend the Prada fashion show at Milan’s Fashion Week. After returning from there, he shared photos from his trip, posted photos from Lake Como (TVXQ had filmed there before for Ti Amo) and mentioned how he wished Yunho hyung was there too > w < ❤! Photo 01 Tags: om_korea (they also reposted it here) and neilbarrett_korea. Photo 02 Tags: om_korea and neilbarrett_korea.